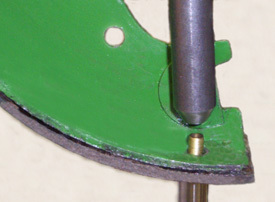 Two-cylinder & new generation John Deere field tractor wheel brake rivet setter tool. For two-cylinder and new generation tractors. Made from heat-treated 4140 alloy steel.